Sedation dentistry is the use of specialized medications that calm down dental patients before and throughout their dental appointment. The thought of going to the dentist in some patients will cause even mature adults to develop dread and intense anxieties particularly when they have had a bad dental incident. Each patient will have their own level of anxiety and will need their own plan for successful sedation dentistry. Additional sedation dentistry options may be taken such as I.V Sedation or General Anesthesia, but these are typically performed in specialized oral surgery treatment rooms or in a hospital where specialized dental equipment is not available. 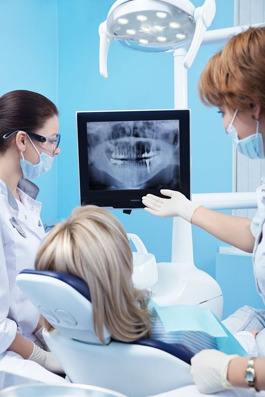 Most general dental procedures can be completed using one of these three steps. Oral Sedation (Step 3) is most often used for patients with the highest levels of anxiety or with longer dental appointments such as dental implant surgery. Contact Mann Dental Care, your sedation dentist near Sugar Land to learn more about sedation dentistry options.